You could do worse as a parent than a game at Citizens Bank Park with kids. There’s a lot for them to do, and they can burn off a lot of energy before the game. 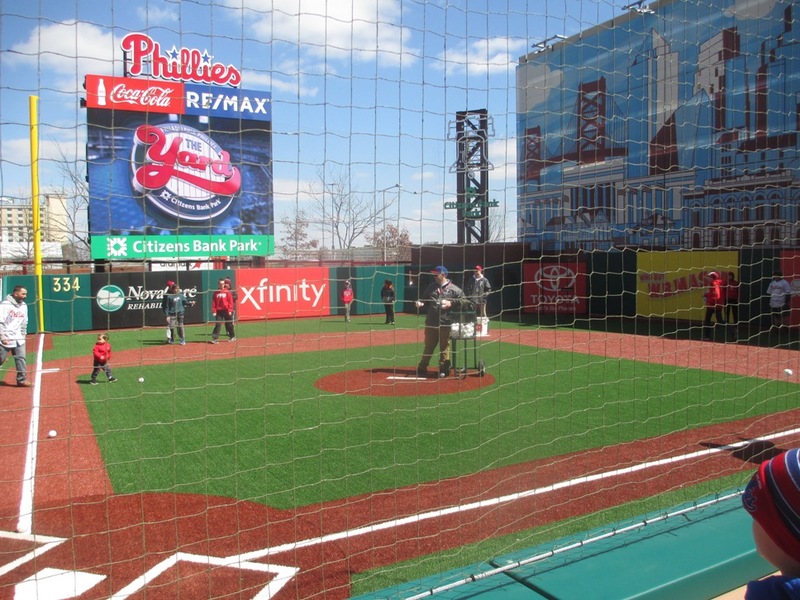 Citizens Bank Park With Kids, Tip #1) The Yard. New as of 2018 is a very cool field, called the Yard. It’s an artificial turf (normally frowned upon in baseball, but probably a good idea here) wiffle ball field that’s made to look like a miniature Citizens Bank Park. And it’s got a short porch in left…if you get a hold of one, you can easily reach the scoreboard with it! You have to wait in line to get your licks at the plate, but the kids can play in the field as much as they like. It’s a great opportunity to teach your child the value of strong defense up the middle. The Yard gets crowded pretty fast, so try to get there when the Left Field gates open (a half hour before the rest of the gates). What a sad day it is when we turn too old for these. Citizens Bank Park With Kids, Tip #2) The Phanatic Phun Zone. 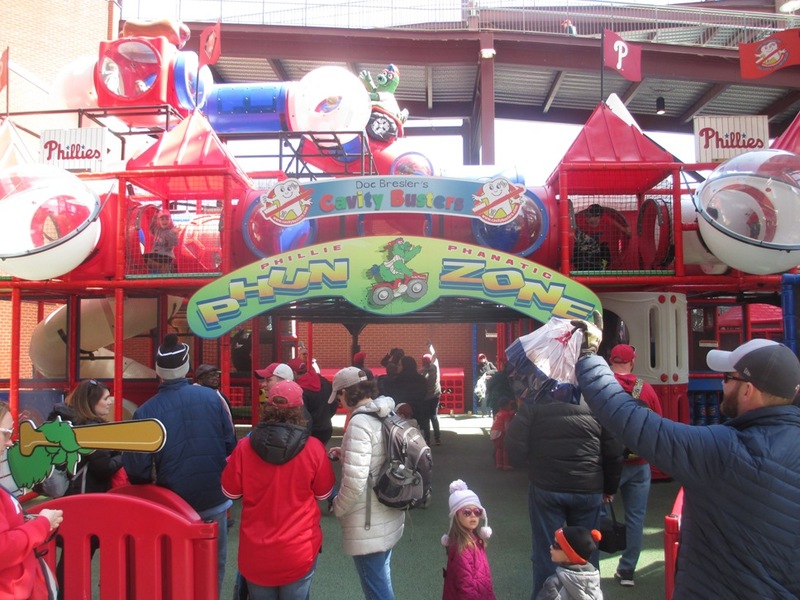 The Phun Zone is a favorite spot for my little ones…and with good reason. It’s a truly intricate habitrail, much better than the ones at your typical Chuck E. Cheese outpost. There are some pretty high slides on this thing. Kids can also pretend to operate a concession stand, and get started young living the dream of being a ballpark concession worker. The nice thing about the Phun Zone is that’s there’s only one way in and out, so parents can relax a little bit. Most of the area is soft and padded. Just keep an eye on the entrance and let the kids go bat guano in a very cool play area. 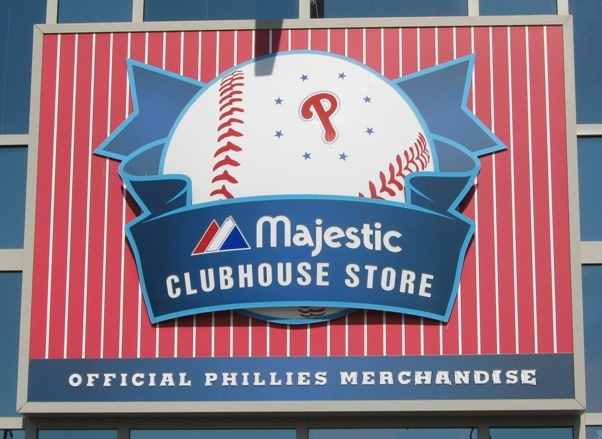 In a clubhouse store this majestic, you can always use discounts. If your kid would like some cool gear and souvenirs, the Junior Phillies Club membership costs just a few bucks and includes a cinch bag, a water bottle, a poster and discounts on tickets and merchandise. 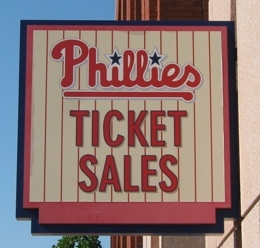 The Phillies don’t have many “run the bases” days, but the fan club offers front of the line access for it, and that’s well worth it if it’s in your plans. Remember too that you can get a $1 hot dog during “Alley Hour” at the concession stand, underneath the left field scoreboard, before the rest of the gates open. That’s a hike from the Yard though. There’s a few things you should know as a parent bringing little ones to a Phillies game. And don’t forget to point out the Phanatic to them.